CocktailMom: College Park Patch: Let's Google It! My five-year-old son is full of questions right now. He is past the “why” stage of 2-3 year olds and has properly moved into asking what certain words, like mucus, mean. We were at a birthday party recently, and the little girl received a Barbie doll. In the back of the room one parent said to another, “Barbie looks different.” The other parent replied in a hushed tone, “I think she got a breast reduction.” The parents within earshot all laughed quietly, trying not to draw attention from the birthday girl. My son, who was not anywhere near this conversation, did not miss overhearing the exchange. At bath time that evening he asked, “What is a breast reduction?” I answered him honestly, and afterwards came the “why” type of questions. Explaining cosmetic surgery to a 5-year-old is not exactly the easiest thing I have done. I’ll take asking for a raise any day of the week over that! While I’m delighted about my son's vocabulary expanding, many times I feel like I'm in front of the cannon. I consider myself an intelligent person with a well-rounded vocabulary, but often, he stumps me. I am left sighing with relief with the realization that our anatomy conversation will be continued for another day. “That would be aerial,” I tell him. 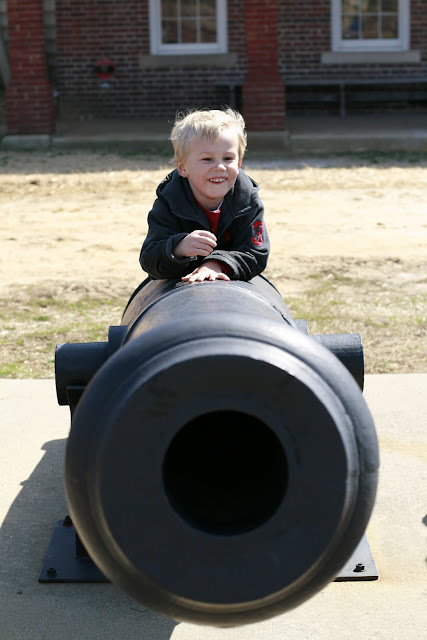 Have your children put you in front of the cannon by asking questions that are harder to explain than you realized?